I can see it now. Getting off that lengthy flight and feeling groggy from the jet lag. Once it sets in all you can think about is water, food, and a bed. Hawaii Car Service is waiting for you outside and greets you warmly with an ice cold beverage in ca. You sit down in comfort in one of our luxurious vehicles, ready for a welcoming ride. On the comfortable ride to your hotel, you take in the scenery that Oahu has to offer, the hiking spots, beaches, people, etc. The driver makes the extra effort to make sure your needs are met and drops you off at your destination with cool, calm classy Hawaii service with Aloha. Checking in is as easy as booking the car service. You make it up to your suite which is elegantly designed, and you lay down in the most comfortable bed to finally rest those weary eyes, drifting off to dream of the days ahead in Hawaii. Everyone should experience the island of Oahu like this. I mean, taking a relaxing ride with Hawaii Car Service to the Four Seasons should be exactly that – an enjoyable experience. You won’t be disappointed in this resort. 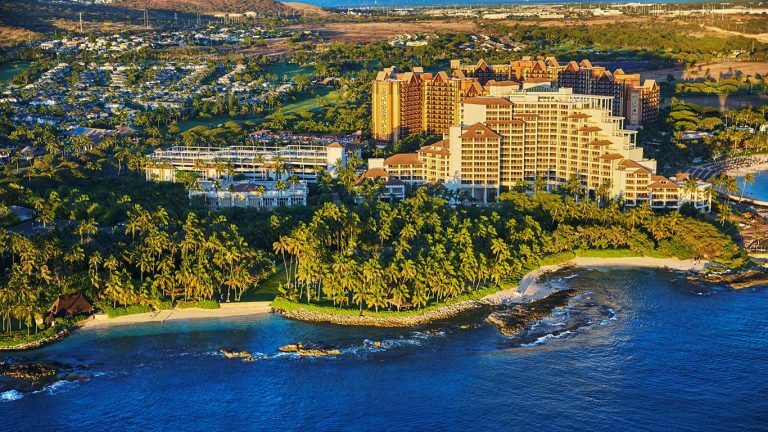 This five-star beach resort promises authentic Hawaiian tradition with its adventures, dining, and activities in Oahu’s Ko Olina resort. Which is what “Ko Olina” means in Hawaiian, place of joy. Experience their award winning golf, a marina for sailing and fishing, activities for families, beach bars, and lounges, and so much more. 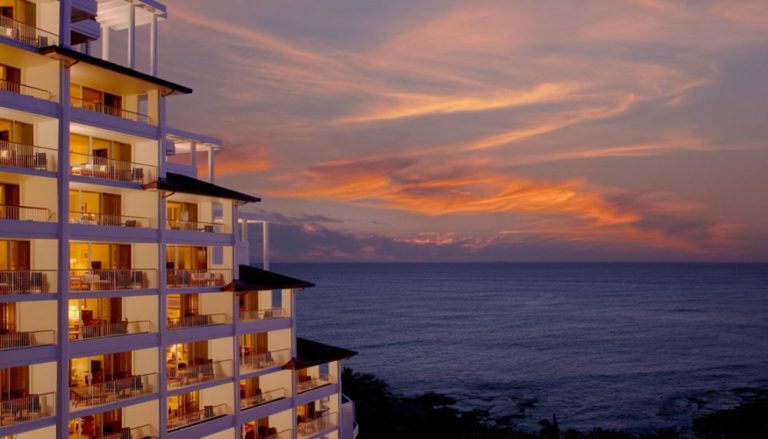 The Four Seasons is known for the perfect honeymoon spot, so keep that in mind. Ko Olina beaches are also recognized for the elegant weddings. If you’re having a wedding there make sure to book with us ahead of time to ensure your reservation. This is also a great venue to hold events indoor or outdoor. Ko’olina offers six hundred forty-two acres of restaurants, hotels, beach, golf, and much more for you and your family to explore. This is also a great venue to hold indoor or outdoor events. Ko’olina offers six hundred forty-two acres of restaurants, hotels, beach, golf, and much more for you and your family to explore. Allow us at, Hawaii Car Service to take you there. You may book online now for your Four Seasons car service.